Some ideas / clarifications if they don’t already exist. I’m an elementary / intermediate self taught learner. -how to talk about humour e.g. “Just joking” and sarcasm. I appreaciate humour can be quite different around the world. 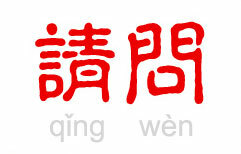 -some commonly used informal vocabulary differences between Mandarin in Taiwan and in China. You've heard it peppered throughout conversations and seen it in texts you've read, but what exact purpose does that little 被 (bèi) serve? Find out all about how to use 被 to construct passive phrases in today's show. I’ll show this to @Constance_Fang. Maybe it’s worth a video. We’ve got lots of ChinesePod lessons about Jokes, but not many about talking about humour. I’ll keep looking.